Join the Lone Ranger and Tonto on a daring adventure to fight the villainous Butch Cavendish and his gang who are terrorizing the town of Colby in the Lone Ranger Play Set. 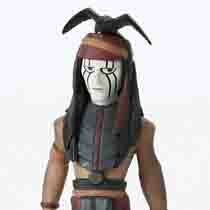 Includes Disney Infinity Figures for Lone Ranger and Tonto. Additional Play Set characters sold separately. 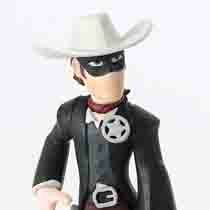 Gameplay and functionality for the Lone Ranger Play Set varies across consoles. Unlock the Lone Ranger Play Set and play up to 2-player local co-op. Bring unlocked toys from the Play Set into your Toy Box through a variety of ways, including collecting capsules, earning spins, finding Disney Infinity Character Chests, or accessing the Disney Infinity Avatar Vault. Unlock the Lone Ranger Play Set and play in single player mode. Bring unlocked toys from the Play Set into your Toy Box through a variety of ways, including collecting capsules, earning spins, finding Disney Infinity Character Chests, or accessing the Disney Infinity Avatar Vault. Unlock the Colby Toy Box Gameboard and the Last One Standing mini game. Play up to 2-player local co-op.